Pickpocket Publishing | An independent publisher of high quality non-fiction titles. The Rebellion Begins: Westborough and the Start of the American Revolution is now available. The time is September 1774, and the Westborough militia is stepping up its training in order to march to Worcester to shut down the Worcester County courts, now operating under the Intolerable Acts. Word has it that General Thomas Gage will be sending armed British soldiers into western Massachusetts to protect the courts and enforce these new laws, which limit the ability of citizens to select their own government representatives and to hold their own town meetings. Westborough, along with other surrounding towns, is preparing for the confrontation. Most people think April 19, 1775 marks the beginning of the American Revolution. The truth is, when the British marched into Lexington on that day they were attempting to take back a colony that was no longer under their control. The Rebellion Begins uses recently discovered documents to tell the story of how the people of Westborough rose up against the mighty British Empire to protect their way of life and help start the American Revolution. 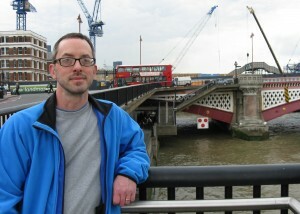 Anthony Vaver is the author of the Amazon bestsellers Bound with an Iron Chain: The Untold Story of How the British Transported 50,000 Convicts to Colonial America and Early American Criminals, and he writes and publishes the blog EarlyAmericanCrime.com. He has a Ph.D. from the State University of New York at Stony Brook and an M.L.S. from Rutgers University. 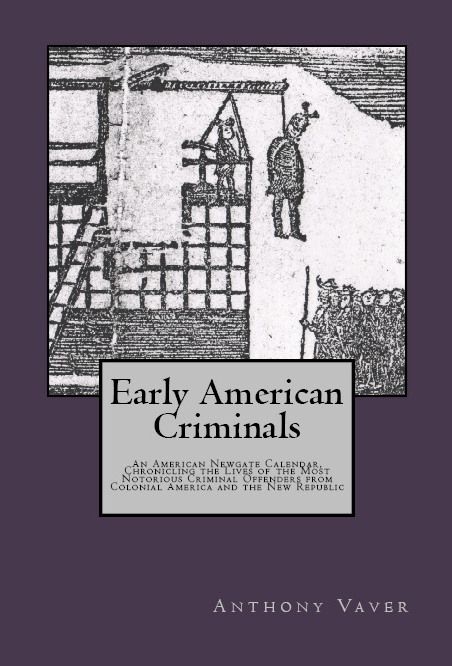 Pickpocket Publishing announces the forthcoming publication of Early American Criminals: An American Newgate Calendar, Chronicling the Lives of the Most Notorious Criminal Offenders from Colonial America and the New Republic by Anthony Vaver. The book is due out in the early fall, 2014. Bound with an Iron Chain: The Untold Story of How the British Transported 50,000 Convicts to Colonial America, an Amazon.com Bestseller, is now available. In 1723, James Bell grabbed a book from a London bookstall and started to run, but he was chased by several witnesses and was discovered hiding in a dog kennel. As punishment for his crime, Bell was loaded on a ship and sent to colonial America, where he was sold at auction as an indentured servant for a seven-year term. 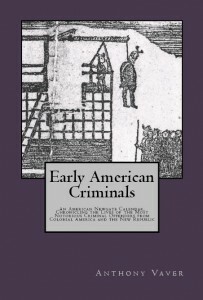 Most people know that England shipped thousands of convicts to Australia, but few are aware that colonial America was the original destination for Britain’s unwanted criminals. In the 18th century, thousands of British convicts like Bell were separated from their families, chained together in the hold of a ship, and carried off to America. What happened to these convicts once they arrived? Did they eventually prosper in an environment of unlimited opportunity, or were they ostracized by other colonists and doomed to live in poverty? 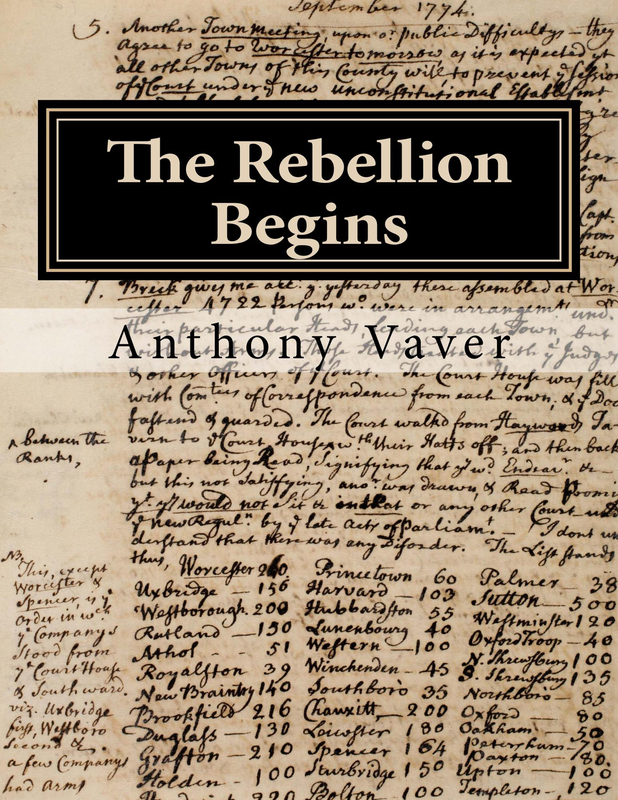 Anthony Vaver tells the stories of the petty thieves and professional criminals who were subjected to this unique punishment, and in bringing to life this forgotten chapter in American history, he challenges the way we think about immigration to early America. The book also includes an appendix with tips on researching individual convicts who were transported to America. Anthony Vaver at Blackfriars, where transported convicts from London set sail for America. Anthony Vaver is the author and publisher of EarlyAmericanCrime.com, a website that explores crime, criminals, and punishments from America’s past. He has a Ph.D. from the State University of New York at Stony Brook and an M.L.S. from Rutgers University, and he is currently working on a new book about early American criminals. He has never spent a night in jail, but he was once falsely accused of shoplifting. 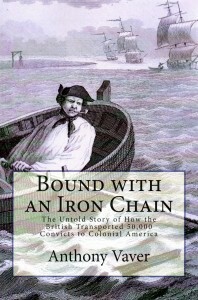 Bound with an Iron Chain is an Amazon.com Bestseller in the subject categories of Colonial American History, English History, and Immigrants! Pickpocket Publishing announces the publication of its inaugural book, Bound with an Iron Chain: The Untold Story of How the British Transported 50,000 Convicts to Colonial America by Anthony Vaver. The book is due out sometime in the early summer, 2011. Most people know that England shipped thousands of convicts to Australia, but few are aware that colonial America was the original destination for Britain’s unwanted criminals. In the 18th century, thousands of British convicts were separated from their families, chained together in the hold of a ship, and carried off to America, sometimes for the theft of only a handkerchief. Why did these people risk committing such petty crimes when they knew they could be forcibly shipped off to a foreign land if caught? And what happened to them once they arrived in America? Did they prosper under conditions of unlimited opportunity, or were they ostracized by American colonists? 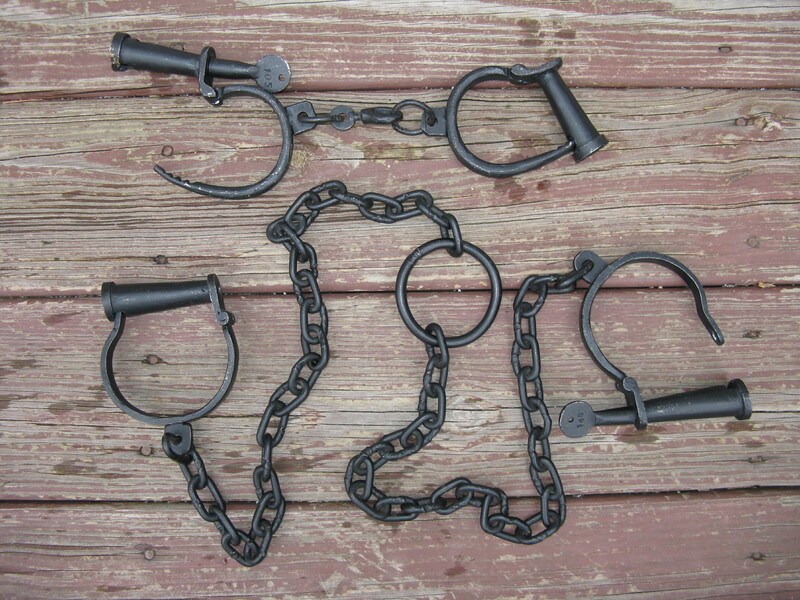 Bound with an Iron Chain reveals this forgotten chapter in American history through the stories of petty thieves, criminal kingpins, frustrated government officials, greedy merchants, and wealthy plantation owners, and it finally shines light on the critical role that convict transportation played in the development of colonial America. The book also includes a helpful appendix with tips on researching individual convicts transported to America. Anthony Vaver is the author and publisher of EarlyAmericanCrime.com, a website that explores crime, criminals, and punishments from America’s past. He holds a Ph.D. from the State University of New York at Stony Brook, and an M.L.S. from Rutgers University.